Ciara Ní Dhubhghaill is a third-year Fiontar/Scoil na Gaeilge student currently on INTRA placement in Seville, Spain. Love, pride and passion for the Irish language are the reasons Ciara says she is putting herself forward for the position of Oifigeach na Gaeilge in this year’s SU elections. Ciara’s ambition is to engage the wider student body with the Irish language by increasing its presence on all DCU campuses and to provide students studying a degree course ‘trí Ghaeilge’ or with Irish to avail of the Erasmus programme. As a second-year Gaeilge agus Gnó student Ciara remembers the introduction of Irish translations on all outdoor signage on the Glasnevin campus. Through liaisons with the Estates Office, Student Union and Fiontar she hopes to develop this initiative further through the placement of signage in all DCU canteens, libraries and main public spaces. “I want people to feel that no matter what level of competency they have in the language that they too can get involved in every form of the language [that] is presented to them on campus”. Ciara want to begin engagement initiatives such as Gaeilgeoir na Míosa, aimed at using the Irish language daily in a fun and creative way through challenges, games and creativity. She wants to create a Graffiti Gaeilge display, a permanent graffiti display/mural similar to the setup decorating the outside of Nubar, to channel student’s language abilities and interests through their artistic talents while giving a visual, innovative prominence to the language on campus. 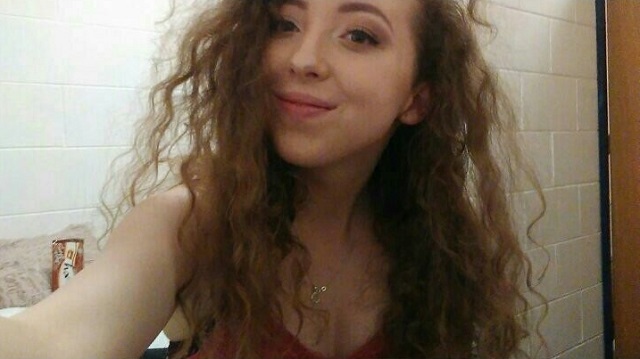 Another of Ní Dhubhghaill’s aims is to start a Snapchat geo-filter competition, helping to reach a broader student community, even those who aren’t involved in the creation process, and demonstrating Ciara’s youthful, fresh approach to promoting the language. She wants to introduce the sale of a Fáinne, which are Irish language rings, recognising proficiency of the language and instilling a sense of pride in student’s abilities to use the language. The College View ashed Ciara’s opinion on the relocation were and how she plans to tackle the issue of isolation felt by students in the Fiontar school. “I feel let down as a speaker of the language that all academic traces of [Irish have been] removed from the campus with the largest amount of students,” Ní Dhubhghaill said. She understands the potential the exclusion had to further disengage non-Irish speaking students with the language and plans to counteract this through the implementation of initiatives and events on all campuses, allowing “all students [to] part-take in all aspects of promoting the language”.